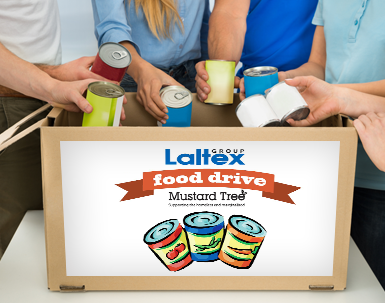 The Laltex Group has been friends of the Seashell Trust for almost 10 years and most recently the Mustard Tree. The Seashell Trust is a national charity that supports those with severe and complex learning disabilities combined with significant communication difficulties which include little or no oral language. Mustard Tree is a Manchester based charity supporting those who are marginalised and homeless by promoting sustainable solutions through the provision of food, clothing, furniture, training and enterprise. 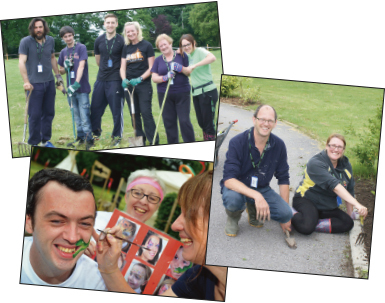 This summer a number of Laltex Group staff volunteered at Seashell Trust, helping with the gardening and painting and assisting at a music event and at Seashell Trust's sports day. Great times were had by all involved and Seashell Trust were delighted with how smart the front of the campus looked. There was such an overwhelming response to the volunteer days and they were such a success that we plan to organise more. Click here for more information on the Seashell Trust. Laltex is proudly funding the First Friday Soup Run at Mustard Tree for the next 12 months (from July 2016 to July 2017). Each of these 'crisis' food provisions feed up to 75 people. This means that over the course of the year a total of 900 people will be supported with a hot meal. The month of August saw our staff undertake a Food Drive, donating non-perishable food items. All items donated went to making a huge difference to those who needed it most. Click here for more information on Mustard Tree.